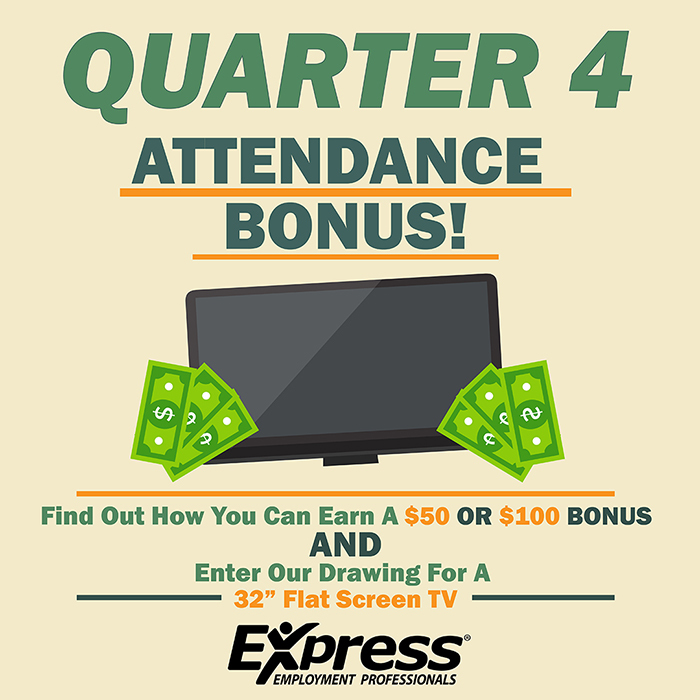 Quarter 4 Attendance Bonus Gresham, OR - 10/23/2018 Express Employment Professionals is rolling out some great initiatives for our Associates! Find out how you can participate here! Bronze Circle of Excellence Gresham, OR - 10/18/2018 Express Gresham hits the Bronze Circle of Excellence for 2018! Express Earns Safety Distinction Gresham, OR - 10/08/2018 Express Employment Professionals has earned Safety Standard of Excellence SM Mark From the American Staffing Association! Fall Job Fair Gresham, OR - 09/18/2018 Join Express Employment Professionals for our Fall Job Fair! We have multiple openings that we are hiring immediately for. News on 6 Picked up our "Year of Record Sales" Press Release! Gresham, OR - 08/28/2018 Celebrating its 35th year of business, a leading employment center in Gresham, OR, Express Employment Professionals, continues to advance closer towards their goal of putting one million people to work.